Holiday Crafterino: 2011 Holiday Crafterino Applications are OPEN! 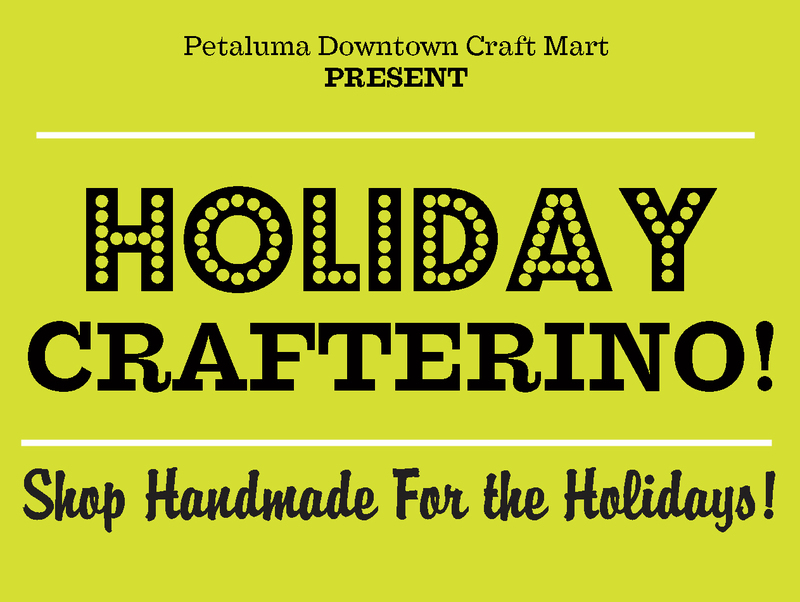 We are now accepting vendor applications for the third annual PDCM Holiday Crafterino! This show will be held Sunday, November 20th from 10am to 4pm at Herman Sons Hall. For the past two years our holiday shows have been wonderfully successful and we are looking forward to an even bigger turnout this year! This year we will be in the large auditorium of Herman Sons Hall - a few blocks from downtown - and all vendors will be located in one fabulously crafty room! Since we get many more applications than we have available spaces, the event is juried, as we need to make sure that we have a variety of products that are original, well made and appealing to our customers. All items must be handmade. No imports! Each vendor space is 8' wide by 5' deep. You may apply for a split booth, which is 4' by 5' deep. Booth spaces are $80 for a full booth, $50 for a split booth. Yes! You may share a booth. 2 vendors maximum allowed per booth. There is no surcharge to share a booth. Fill out one application for the whole booth with info on all the vendors who will be sharing but designate one person as the main contact. Application deadline is Thursday October 20th at midnight. Only acceptance emails will be sent on Wednesday October 26th. If you are not accepted, please don't take it personally! NEW this year. Booth fees are due upon acceptance to the show, along with a signed vendor contract. Your space is not reserved until we have your payment and signed contract. You may pay your booth fees through PayPal. Our PayPal address is petalumadowntowncraftmart@gmail.com. If you don't have a PayPal account you can use a credit card through PayPal. It is safe and secure. Space includes a table. You will need to bring your own chairs and displays. Electricity is available. Please let us know if you need electricity and we will make sure to place you near an outlet.